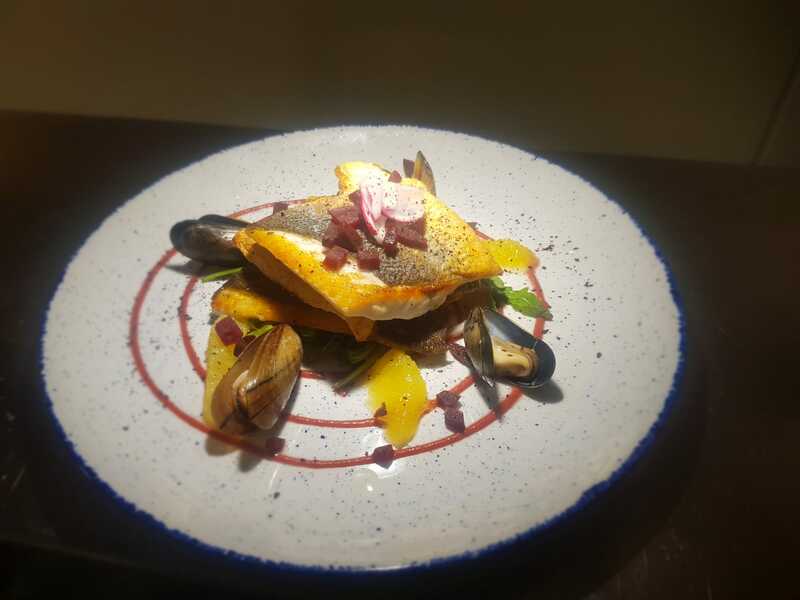 O'Connor's Bar & Restaurant in Ballycastle prides itself on its quality food with all dishes prepared on site and ingredients sourced from local suppliers. 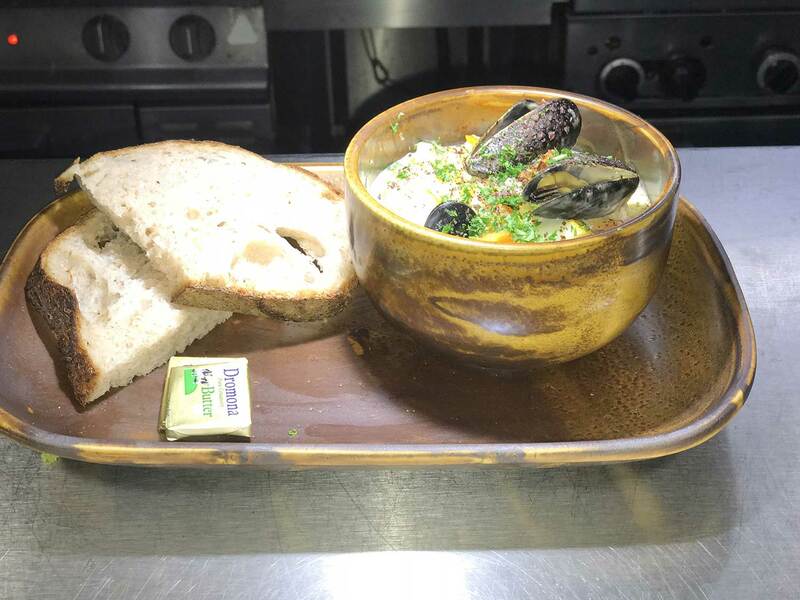 There are a number of seafood treats on the menu along with some traditional Irish meals and a wide variety of dishes from around the globe. Food is served daily in the bar from 11:30 to 21:00. Fish Fingers, Chips & Beans. Some products in our range contain nuts and other allergens. As a result, traces of these could be found in other products served here. If you have any questions about any of our ingredients, please ask any member of staff. Kindly inform us of any food allergy, before you order your meal. All our food is cooked from fresh to order. When busy, your patience is much appreciated. 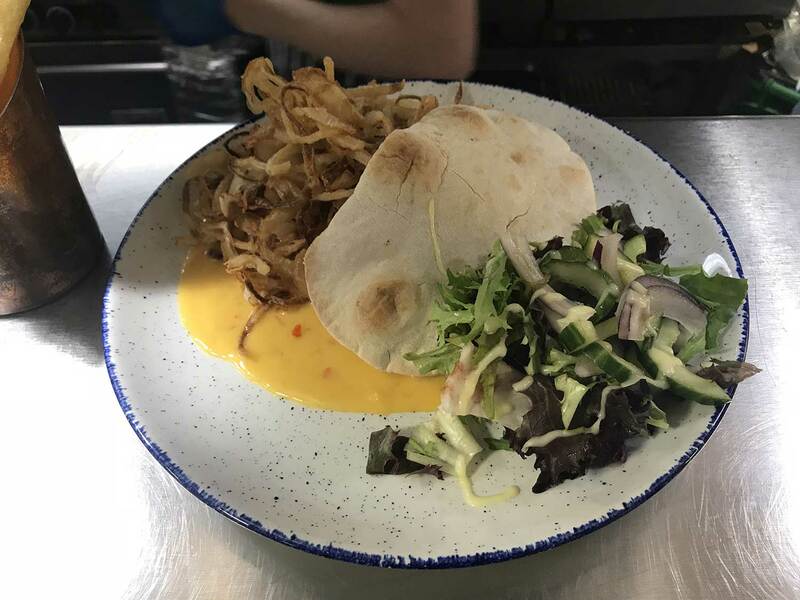 We at O’Connor’s are committed to providing high quality, fresh dishes. All our food is fresh and cooked to order. Therefore, and especially during busy times, you may experience a short delay. This allows us to provide the quality you expect. We hope you enjoy your dining experience with us. We use sourdough bread from Ursa Minor which is made using only 3 ingredients - organic flour, water and salt. It is a slow process (around 36 hours) but this helps the gluten to breakdown and become more digestible. It is NOT gluten free, but people who live a ‘gluten free’ lifestyle are finding they don’t have them same issues they would normally have from eating processed breads. I emailed a few days ago to ask about Vegan options and Cormac could not have been more accomodating. He emailed back with three options that all sounded delicious. I opted for the vegan shepherds pie and sweet potato fries which was super tasty. The portions are huge and my two friends also enjoyed their meals. I really appreciated having several options (although I had to decide on this in advance). Friendly and welcoming place would definitely recommend! Popped in for a meal with my mum (who has been a number of times) this evening. Lovely decor inside. Really loved the booths and the Bushmills bar stools! Food was absolutely delicious. Goujons and Hake were gorgeous and the portions were very generous. Lovely staff and atmosphere. Look forward to my next visit. Couldn't fault it! Ate and drank in O'Connor's Bar several times during a recent trip to Ballycastle. The service is spot on, as is the Guinness and the food is even more spot on. Cannot fault it. Thank you to the lovely girls and guys for making us feel so welcome. Was there with my husband and two kids. It turned out to be lovely. Food was delicious. Service was quick. Enjoyed it thoroughly. A day trip to ballycastle was finished off with some lovely food and service.